The 2019 FMS Ultimate Intramural season starts at the beginning of May with registration opening in April. 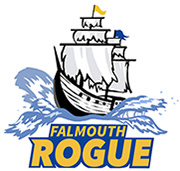 If you have questions about the differences between the Intramural team and Falmouth Rogue, the travel team, click over to our FAQ. • All Intramural practices/games are held on the grass fields directly behind the Falmouth High School next to the turf/track. • Join the Intramural Team Parents Group here.